The public is invited to attend two free lectures at the annual meeting of the Pacific Northwest Renaissance conference, hosted by UBC and being held at the Kelowna Delta Grand Hotel from October 17 to 19, 2014. 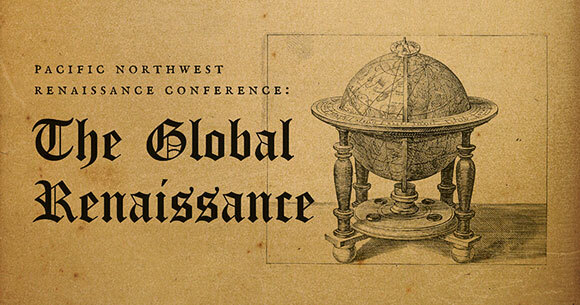 The first lecture is the conference keynote address, The Whole Earth, a Present for a Prince: Molyneaux’s Globes and the Creation of a Global Vision in Renaissance England, being delivered by Lesley Cormack of the University of Alberta from 9 to 10:30 a.m. on Friday, October 17. The topic is the first globes manufactured in 16th century England. Prior to the 16th century, few globes were produced, and these were generally celestial globes, showing the positions of stars in the sky, rather than "terrestrial globes" showing the positions of land masses on the Earth. Originally used as mathematical instruments, terrestrial globes came to dominate society’s view of the world and have been used as teaching instruments ever since. The second free lecture, from 1:30 to 3 p.m. Saturday, is offered by George Saliba of Columbia University, on the topic Looking Beyond Europe: The Renaissance Engagement with the Islamic World. This talk explores the influences of Islamic culture in North Africa and the Middle East on the European Renaissance. In recent years, both westerners and residents of the Middle East and North Africa have questioned the relationship between their two cultures, often leading to contrasts drawn in terms of a distinction between the modern and tradition, or the technological and the traditional. Saliba's lecture will address how the science of the medieval Islamic world drove the efflorescence of culture in Europe, in the period known as the Renaissance.